MISSING out on the boom that has inflated Melbourne, Sydney and Brisbane prices could save the Sunshine Coast from the inevitable collapse of Australian east coast property prices many are now predicting. While Sydney and Melbourne prices particularly headed to the stratosphere and now sit vulnerable to any slowing of demand from Chinese investors, and Brisbane sags under a glut of unit development the Sunshine Coast has steered a steady-as-she-goes course. Demand has strengthened here but the Sunshine Coast has not seen a return to the pre-GST seven-year boom cycle that for more than two decades had been a characteristic of its market. Meanwhile across Australia's five largest cities prices have fallen 1.1% in May according to market monitor Corelogic. The drop comes as the Australian Prudential Regulation Authority moves to limit interest-only loans to just 30% of bankers' loan portfolios. New project approvals have also fallen by 17.2% to April Australia-wide and have been falling since mid-way through 2016. Queensland Treasurer Curtis Pitt announced this week a welcome increase of 3.4% across the state with medium-to-high density dwelling approvals up 10.8% in April off-setting a 2.2% fall in house approvals for the month. The April result contrasts with year-to-date numbers that are off 19.9% caused by a slow down in unit, apartment and townhouse after a period of rapid growth. The Queensland 3.4% increase contrasted with Australian figures of 0.1% and the 1.7% lift in approvals recorded by NSW. Altair Asset Management chairman and chief investment officer, Philip Parker, sent shock waves through the real estate industry and investment community early this week, announcing the liquidation of the company's positions and the return of hundreds of millions of dollars in cash to investors declaring he considered there was too much risk in the market at this point. Among his concerns were that valuations were stretched and the Australian east coast property market bubble faced an impending correction. While some property industry executives have dismissed his comments as over-stated and his investment decisions as an over reaction others agree with Mr Parker that now was the time for caution. CBRE Commercial Property Sunshine Coast managing director Rem Rafter, who on Thursday announced a $21m sale in Noosa's Hastings Street, acknowledged there was a lot of concern about the market. He said economists who had rated it alive and well now said there was no question we are in a bubble with the Melbourne market more vulnerable than Sydney which he thinks would go off the boil but not suffer a sharp downturn. Mr Rafter said those corrections would flow into the Brisbane market. "The Sunshine Coast is well placed," he said. "We never had the boom period here. We've had no sharp upward movement (in prices)." Mr Rafter said if predictions of a collapse in the east coast market were correct the Sunshine Coast would, to a large extent, be insulated. "There is no over supply and there are significant infrastructure projects going on that create jobs," he said. "Any change will be felt only moderately here but those waiting for a surge in prices - it won't happen." Kevin Annetts of Kevin Annetts Real Estate, Mooloolaba, said property priced right continued to find buyers with investors and owner occupiers still active. Unit stock was in short supply and in Brightwater, which he said was 60% occupied by tenants, there was hardly anything available to rent. "It's been steady as she goes," Mr Annetts said. "We have a lot of people moving into the area and plenty still wanting to invest. "We sold a beachfront unit at Alexandra Headland for $600,000 which the buyers saw as great value. They just walked in." He cited another $2.3m house sale at Alexandra Headland as indication the market remained strong. Mr Annetts said there may be problems in capital cities with over supply in unit developments. Concerns remain over the level of consumer debt which Westpac economist Bill Evans has repeated described as world class and which a recent BDO post-budget breakfast in Maroochydore was told was at 120% of GDP compared with 80% in the United States. 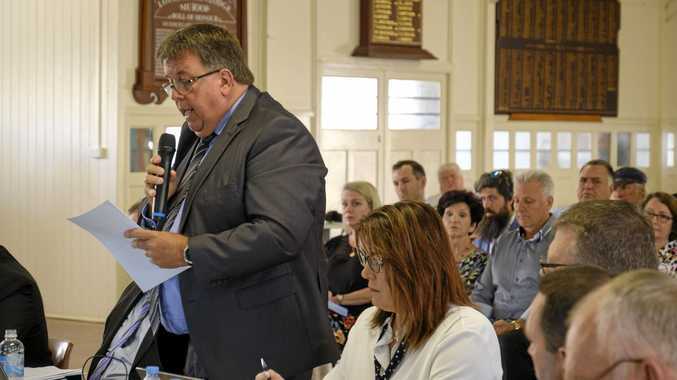 Bankers who spoke to the Sunshine Coast Daily said a combination of the Australian Prudential Regulation Authority (APRA) tightening up on loan to value ratios and the growing conversation about potential risks would result in a degree of self-regulation. Interest rates would be largely stable over the next three years and demand for accommodation would ensure the floor would not fall out of the residential market. And the view of the men with the money is that broader global conditions would restrain any property market price run here on the Sunshine Coast. "It would be better if APRA had acted five years ago," one banker said. "If it had there would be no Sydney and Melbourne bubble." He said we could expect to see pockets of demand in highly-sought after locations, bank mortgage interest rates edge up ahead of RBA rates but not dramatically and limited capital gains. APRA's increasing oversight of banks to the point it was now randomly seeking full lists of all commercial property loans, loan-to-value rations and interest cover would see an increasingly conservative approach to lending. Collateral mortgages were being abandoned in favour of cash deposits and anticipated value uplift would be out of calculation. "Only cowboys don't appreciate it," the banker said. Loans for property development are already tougher to come by with the message increasingly being sent to those borrowing for projects that they need to be able to pay cash for the site. Mr Rafter said the commercial market remained strong on the Sunshine Coast with self-managed superannuation fund retirees looking for investment properties. There is around 10,000 square metres of commercial space still to let in Kon-tiki, in line with developer Mal Pratt's projections the Maroochydore office block would take seven years to fill. 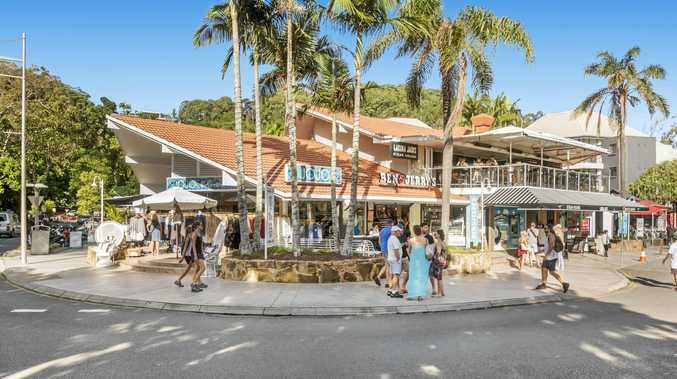 Mr Rafter said the retail market in Noosa's Hastings Street was going well but in Mooloolaba, while food and beverage outlets were enjoying strong demand, fashion was doing it tough leading to a number of vacancies. Strip commercial vacancies were also tending to linger longer out from three to four months to four to six months, which may lead to some rent re-assessment. "Water finds its own level pretty quickly," Mr Rafter said. "The market is well informed with people able to assess fair market rent." In some hard-to-fill locations incentives of 15-20% are being offered in the form of rent-free periods or fit-out allowances for new tenants.